After my husband was diagnosed with a gluten sensitivity, we had to change the way we ate. Our pantry had an overhaul, swapping out semolina pasta for buckwheat noodles and bran flakes for crispy rice cereal. We became diligent label readers, looking for any ingredients that could cripple my husband's insides. Lunchtime was no longer as simple as reaching into the bread bin for a loaf of bread to make a sandwich. A majority of gluten-free bread was sold in the freezer section of the supermarket and had to be thawed, toasted, and camouflaged in an array of meats, cheeses, vegetables, and condiments for it to be consumed without making a face. Friday night pizza dates were kiboshed until we could find a decent substitute. Food was quickly losing its flair with me. My first attempt at a gluten-free baked good came from a trusted gluten-free blogger. I had made their blueberry muffins, excited for the outcome. They were good, but nothing to write home about. I'm not entirely sure it was their fault; the taste and texture of fifteen different flours that were required to make said muffins took our palates some getting used to. I eventually broke down and attempted to made my own GF all purpose baking mix. Unfortunately, it became quite laborious, very expensive and still left an acrid aftertaste. I also felt like I had a million small plastic bags from my trip to the bulk store jammed into my pantry, forgetting which flour was in which bag. It wasn't long before I began to loathe the flavour of buckwheat and the smell of chickpea flour. We branched out and tried a few gluten-free products that grocery stores did carry. The better ones were mediocre at best while the others left much to be desired. We plodded along, improvising where we could and did our best to make the most of the situation. As time went on, gluten-free products began to get a makeover and significantly improve. More and more companies were introducing and implementing the pleasing flavours and textures of rice, corn, and quinoa into their goods. Then something delicious happened. In 2013, President's Choice released a gluten-free coconut cookie; a soft cookie bursting with coconut flavour and a texture that mimicked those of their glutinous counterparts. Finally, a sweet treat that didn't taste like cardboard. In fact, they were so good, I read the label several times to ensure they were in fact gluten-free. I purchased an obscene amount of these cookies that first month and found creative ways to use them. Our favourites were ice cream sandwiches and this dessert. Not long after, President's Choice began to implement more products into their gluten-free line, which made both of us excited about food again. Fast forward to today. President's Choice offers a delicious and wide selection of affordable gluten-free, lactose-free, and peanut-free products (readily available at all Loblaws and affiliate grocers) that encourages compromise-free eating without compromising on taste or texture. Compromise-free eating simply means one can enjoy meals, desserts, and treats that have all the flavour, taste and texture of food without the restrictions or harmful effects many people get when they consume such products. 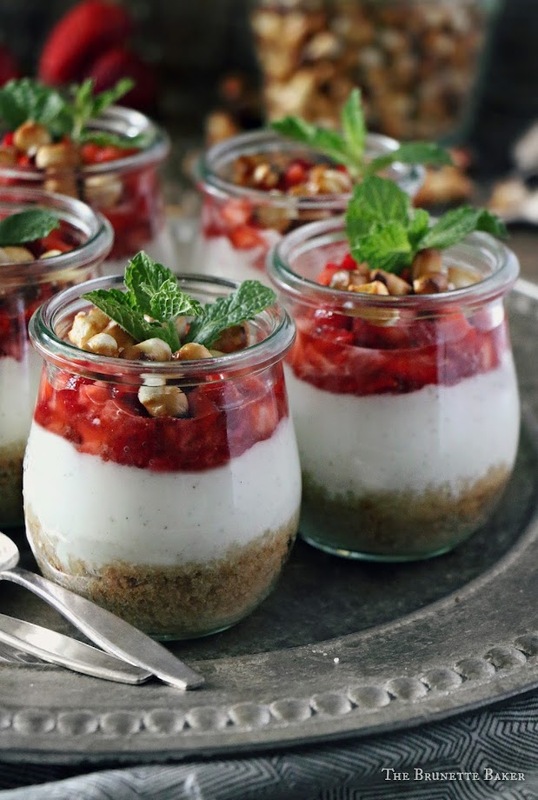 I created these Strawberry Pretzel Yogurt Cups (see recipe below) using PC's gluten-free pretzels and lactose-free yogurt. It's a take on a popular dessert I ate as a child. I swapped out cream cheese for yogurt, added a few ingredients and honestly, it's an incredible, compromise-free substitution with less calories and more protein. So feel free to indulge. To make it much more tempting to try these recipes, I'm giving one lucky Canadian the chance to win a $100 PC gift card. Think of the many COMPROMISE-FREE dishes you can purchase, prepare, and consume with this card - nachos, macaroni and cheese, vanilla and chocolate cupcakes, or even just some cheese and crackers to pair with that gorgeous Italian wine you've been saving for a special occasion. Follow the Rafflecopter prompts and be sure to comment on my blog which PC gluten-free or lactose-free product you're hoping to try and you'll be entered into the drawing. It's that simple. Be sure to take a photo of your favourite President's Choice gluten-free or lactose-free products, tag @PresChoice and don't forget the hashtag, #CompromiseFree. Giveaway will run from Friday, April 28, 2017 at the time of posting and end on Friday, May 5, 2017 at 11:59pm. Winner is chosen at random via Rafflecopter. Winner will be contacted via email and given 48 hours to respond. If not, a new winner will be chosen. Winner selected MUST correctly answer a skill-testing mathematical question. Winner's name will be displayed on Rafflecopter widget. Email address will never be given out to a third party or anyone for that matter. In a food processor, gently pulse pretzel pearls to coarse crumbs. Pour into a small mixing bowl. Add in granulated sugar, cinnamon, and melted butter. Mix together until thoroughly blended. In a separate small mixing bowl, whisk together yogurt, maple syrup (or honey if using), and vanilla bean paste until blended. In a heat-proof dish, microwave strawberry jam for 30-45 seconds until jam is melted. Pour over chopped strawberries and stir to coat. In six six-ounce glass dishes, scoop pretzel mixture into dish and lightly press to conform to the shape of the bottom. Gently spoon yogurt mixture into glasses over top the pretzel mixture. Carefully spoon strawberry bits over top yogurt. Garnish with a few pretzel bites and fresh mint and serve. This is a great treat idea for my kids (and my husband). They'll love it. I love these kind of compromise free substitutions. You are the best wifey EVER! Wow I never knew there were PC gluten free pretzel bites! I would love to try those so that I can try your recipe! I've never tried GF pasta. I'd like to try that! and this dessert looks fantastic! Those PC coconut cookies sounds amazing - I'll be looking for them! I have a hard time finding lactose free yogurt sometimes so I'm excited for this. I would love to try the PC Gluten-Free Spaghetti. I would love to try the gluten-free vanilla cupcakes. I always see them but I'm afraid they taste awful, so I pass them up. Perhaps I should give them a try! I want to try all their gluten-free products! I have an intolerance and some products hurt my grumpy gut more than others. I'm excited about the line of baked goods. It's hard to find a treat that doesn't have some sort of beany aftertaste. Yuck. I like to try the PC Gluten-Free Four-Cheese Tortellini. I would love to try the PC Gluten-Free Chili Flavour Crackers. While I am by no means gluten free at home, we have made an effort to eat less wheat products and if we do, no processed or bleached one. I make all our own bread using whole wheat flour which has no additives. That said I am never against trying something new! I love PC products and I'm so happy to see they have GF options. These yogurt cups look delicious. The salt and sweet strawberries would be tasty together. We are not gluten free but have many friends who are. I will have to try PC gluten free cookies. It's nice to have a sweet treat on hand that everyone can eat. My wife has celiac disease so we go through a lot of gluten free products. We would like to try the PC Gluten-Free Chocolate Chip Cookies. I am most excited to try the PC Gluten-Free Quinoa Chicken Breasts. They would be amazing for dinner! I might try the gluten free pretzel bites for guest snacks. 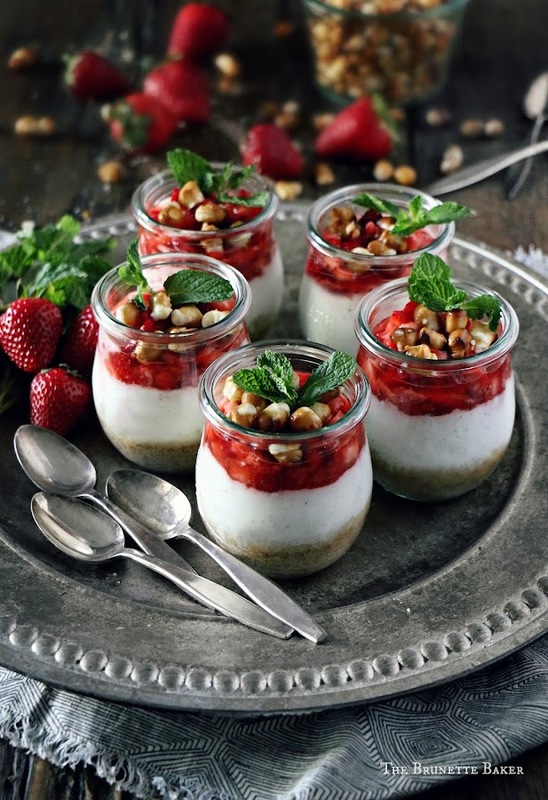 We love the PC products and I would love to try the PC Gluten-Free Four-Cheese Tortellini.Those strawberries yogurt pretzel cups look really delicious too for a dessert. I would like to try the PC Gluten-Free Chocolate Chip Cookies! I'm most excited to try the Gluten free brownies. I am hoping to try the Gluten-Free Original Pancake Mix. I would love to try the PC Gluten Free Pretzel Bites. The PC Gluten-Free Chocolate Chip Cookies sound great ! Id like to try a few things ! I really want to try the waffles! I'm excited to try the PC Lactose-Free Old Cheddar Cheese to make the Lactose Free Cheddar and Beer Dip featured on PC's website! Yum, creamy & delicious snacking! I'd like to try the PC Gluten-free Pretzel Bites. I'm most excited to try the PC Gluten-Free Original Waffles. I'm dreaming of that PC gluten-free spaghetti to go with their GF baguette to make garlic bread. I want to try the entire line! I went to supermarket and bought PC's GF coconut cookies to make your Key Lime Cheesecake Mousse and we ate them all before I could do so! You were right on the money about those! Thanks for this opportunity to give them all a try! I'd like to try the PC Gluten-Free Spaghetti. The PC Gluten-Free Four-Cheese Tortellini stands out! I too have gone gluten-free and have yet to try a "fresh" tortellini. I am excited about the PC Gluten-Free Strawberry Cake! Chocolate chip cookies are my favourite. I would love to try GF ones. Thank you for the chance. I think that I would like to try the Gluten-Free Mini Brownies. Your dessert cups looks fabulous!!!!! I am looking forward to the Too Good To Be Wings Maple Barbecue Boneless Chicken Breast Chunks Gluten Free! I would love to try the Gluten Free Chocolate Chip Cookies. and PC Too Good To Be Wings Maple Barbecue Boneless Chicken Breast Chunks look like they would be awesome too! I would love to try the lactose-free yogurt and cheeses. There isn't a whole lot on the market, like SWISS CHEESE, so this is exciting for me. to win a $100 President’s Choice Gift Card. are you most excited to try? the PC Gluten-Free Chocolate Chip Cookies. I want to try the PC Lactose-Free 14% M.F. Sour Cream. With a few members of the family who need lactose free products this will let them enjoy foods that I make with sour cream. I would like to try the gluten free Coconut Cookie which sounds delicious.